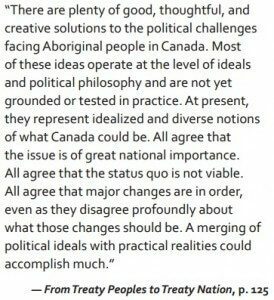 VANCOUVER, Sept. 21, 2015 – Greg Poelzer and Ken Coates, well-known experts on Aboriginal matters in Canada and Macdonald-Laurier Institute authors, know that it is possible to create common ground. 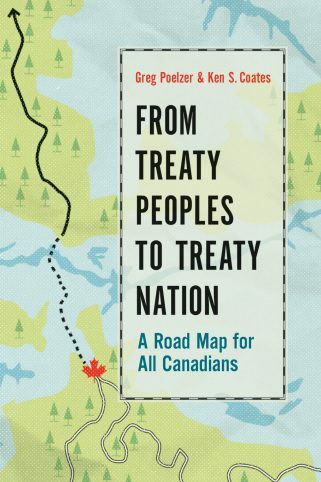 In their latest book From Treaty Peoples to Treaty Nation: A Road Map for All Canadians, published by UBC Press, they lift themselves above the fray and clearly lay out the history, the complex policies, the cultural assumptions, the mix of overlapping and divergent opinions, and look at the approaches that have failed and succeeded in the past. 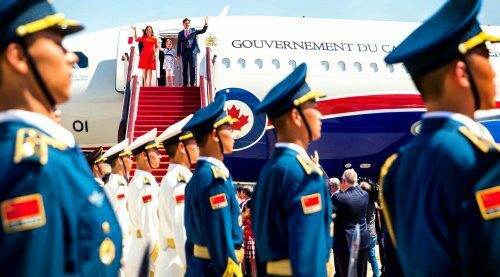 Then, they breathe new life into the debates offering all Canadians – from policy makers to concerned citizens – realistic steps forward. “The most balanced and fair-minded treatment of Aboriginal issues in Canada that I have ever read”. Coates and Poelzer’s work for the Macdonald-Laurier Institute has helped establish them as thought leaders on Aboriginal affairs. 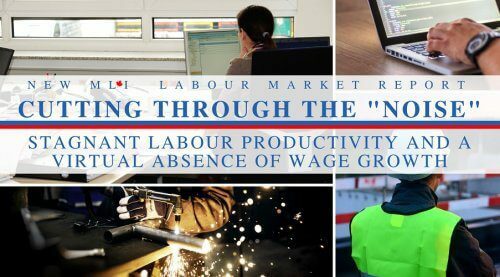 Their work for the institute on fostering Aboriginal prosperity includes a thought-provoking paper from 2014 on how Canada’s “provincial norths” are neglected by policy makers. Another paper, “An Unfinished Nation”, outlines the importance of “devolution” to the northern territories – that is, transferring government power, authority, and resources from the national government to sub-national governments. 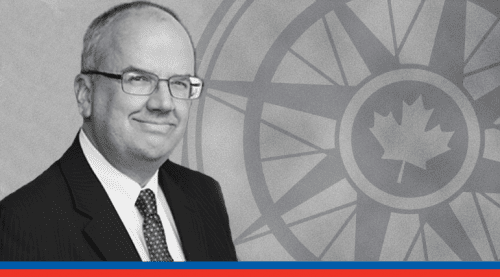 Coates is MLI's senior fellow on Aboriginal and Northern Canadian issues. Aboriginal “issues” run deep within the Canadian cultural fabric. To exemplify this, Poelzer and Coates masterfully summarize the perspectives of both indigenous and non-indigenous intellectuals and activists; John Burrows, Charles Taylor, Alan Cairns, Emma LaRocque, Calvin Helin, Taiaiake Alfred, Bonita Beatty, and Tom Flanagan, to name a few. 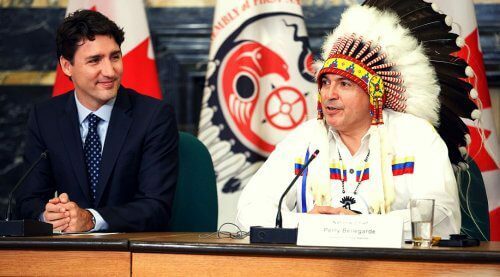 They feel “Canada has gone far enough down the road of Indigenous-non-Indigenous debate to know what the two sides need and expect from each other. 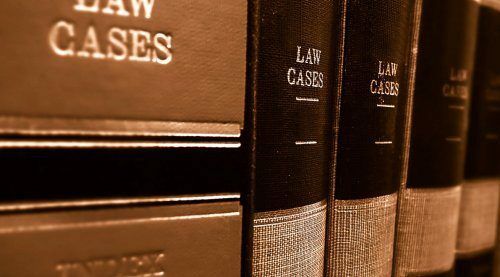 The political challenge of reconciliation now involves moving beyond philosophical or rhetorical positions into the realm of administrative practicalities and financial realities … limits matter”. Given the dire circumstances some of Canada’s Aboriginal people face today, “reconciliation … is no longer an option. It has become a necessity”. Poelzer and Coates don’t get bogged down with the heart-wrenching stories about poor living conditions, high teen suicide levels, or lower than average life expectancy rates that attract mainstream media, while of course they are of great concern. But lost in the discussion has been a tremendous amount of good news. Poelzer and Coates focus on how Indigenous peoples increasingly successfully self-govern, negotiate business ventures, win important court battles, and make positive community changes through grassroots programs. Pragmatic and realistic thinking is the way forward – for good reason. 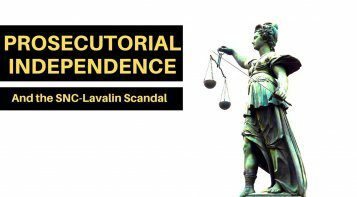 There are hundreds of First Nations, Métis and Inuit communities, each with distinct needs and currently caught up in a broken system. “Aboriginal Affairs programs are not producing the desired outcomes and are time-consuming and, ultimately, very controlling”, as noted by Ken Coates. The stakes are high and the models for change are plentiful. The authors offer solutions that both sides can bear, setting some goals, which they say are quite simple: “Aboriginal people in Canada deserve nothing less than full equality of opportunity with other Canadians in the social, political, and economic realms as well as recognition of their cultures, traditions, and Aboriginal and treaty rights”. Properly-funded education with a focus on the health and well-being of the most vulnerable: children from birth to age five. Transform the Department of Aboriginal Affairs: shift towards longer-term funding arrangements, encouragement of self-government, public accountability, and governance systems that are based on traditional political structures and Indigenous principles. “Poelzer and Coates have written a ... source document of leading-edge thinkers from both Aboriginal and non-Aboriginal circles [and] offer options for all of us who yearn for improved relationships and long-term reconciliation with Aboriginal people”. 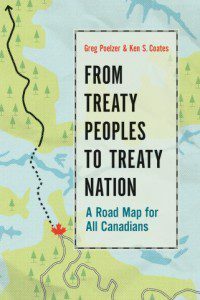 From Treaty Peoples to Treaty Nations offers a page-turning read for all Canadians. To get to that place of common ground though will, “more than anything else ... require openness and creativity”. Greg Poelzer is a Fulbright Arctic Initiative Scholar, the Founding Director and Executive Chair of the University of Saskatchewan International Centre for Northern Governance and Development (ICNGD). He is a Professor of Political Studies and Johnson-Shoyama Graduate School of Public Policy. He is widely known as a builder and innovator who has success in pulling together Aboriginal organizations, government, and the private sector to develop innovative approaches to education, research, and capacity building.